Continuing a long tradition of supporting excellence at Boise State University, Duane and Lori Stueckle have established a presidential-level endowed Honors College scholarship to financially assist honors students. The Honors College has doubled in size in the past five years, and the amount of scholarships available to students in the Honors College has not kept up with the pace of growth. In addition, thirty percent of the Honors College’s Idaho residents are first generation college students and twenty-two percent of the college’s total student body are Pell Grant eligible students. When Duane and Lori learned of the great student need, they decided to establish an endowed scholarship to sustainably support Honors College students. 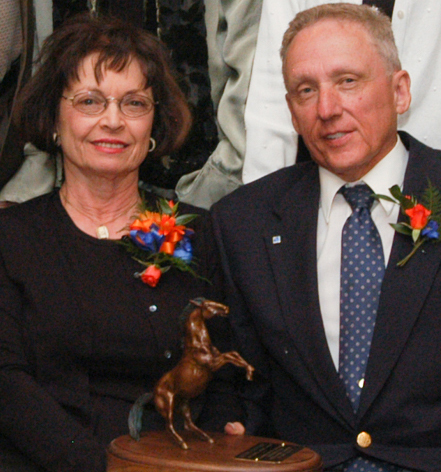 For nearly forty years, Duane and Lori have supported diverse programming at Boise State, including through Bronco Athletics and by creating endowed faculty chair in the Department of Biology.